There are 6 car hire Perpignan Airport firms located within the terminal. You can book in advance through our price comparison booking engine. Perpignan is a really beautiful area of France ripe for discovery by road. You may also wish to cross the border for a trip into Spain. Perpignan Airport is located just 5 kms from the town. It is found on the North West side. The official name of the airport is Llabanère Airport. There are two runways with annual passenger numbers of up to 400,000. Perpignan is a stunning French location with much to see and do. Take a look at our current Perpignan car hire prices if you need an efficient mode of transport. Explore the thirteenth century Palace des Rois de Majorque and fourteenth century Castillet then take a look at Gothic gargoyles at the Loge de Mer. Shop for Catalan pottery on the Rue Sant-Vicens, stroll along the romantic canal-side Quai Vauban and refuel on garlicky escargots or salty jamón in restaurants close to Place Arago. Perpignan’s Festa Major festival has its roots in pagan tradition. Flames are carried to the summit of the sacred Mount Canigou from where runners take them up, crossing mountains and lighting fires. In Perpignan itself there are spectacular fireworks and celebrations. It occurs in June every year. Perpignan’s annual medieval market brings to life all of the hustle and bustle of bygone times. Catch a whiff of roasting piglet or watch a ragged thief undergo public humiliation for his deeds throughout this impressive recreation of medieval existence. This festival takes place in September each year. Book a low cost car hire Perpignan Airport deal well in advance of your trip to maximize savings. Don’t leave it too late to book as the best offers can be found by making arrangements in advance. You could also consider our car hire Carcassonne Airport service as it’s just a 90 minute drive from Perpignan. Our Toulouse Airport car rental offers are also worth thinking about when in this part of France. Getting to Perpignan from Ireland is not that difficult despite there being no regular direct flights apart from seasonal routes (Dublin with Aer Lingus). Via airlines such as Bmibaby, Ryanair and Flybe, Perpignan can be reached directly from Manchester, Bristol, Stansted, Edinburgh and more. Jump on a short connecting flight from Ireland and you’ll be there in no time. There is a bus run operated by Courriers Catalans from the airport into the city. This takes about 20 minutes however this service is not that frequent running just 4 times a day. It costs 8 euro one way. There are also taxis accessible which charge 25 euro to get into the town. Perpignan is an amazing part of France, ideal for a weekend break or summer holiday. There are more budget flights available to the city than ever making it a very accessible destination indeed. Get searching today as demand is high once the summer months start to get close. There are loads of great models available from Renault, Ford, Opel, Fiat etc. You can choose any rental type from budget to luxury with great offers to suit family trips or business ventures. Check out all of our budget car hire France options. 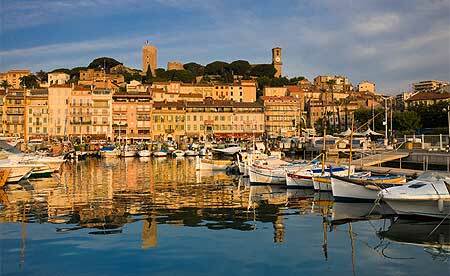 Marseille is around a 2 hour drive away. You can also compare car rental Marseille Airport prices should you wish. © 2019 carhirecomparison.ie — All Rights Reserved.